90° to 45°. Assume that the last scan-converted pixel is P1 as shown in fig. Each new point closest to the true circle can be found by taking either of two actions. Move in the x- direction one unit & move in the negative y-direction one unit. Let D (Si) is the distance from the origin to the true circle squared minus the distance to point P3 squared. D (Ti) is the distance from the origin to the true circle squared minus the distance to point P2 squared. Therefore, the following expressions arise. 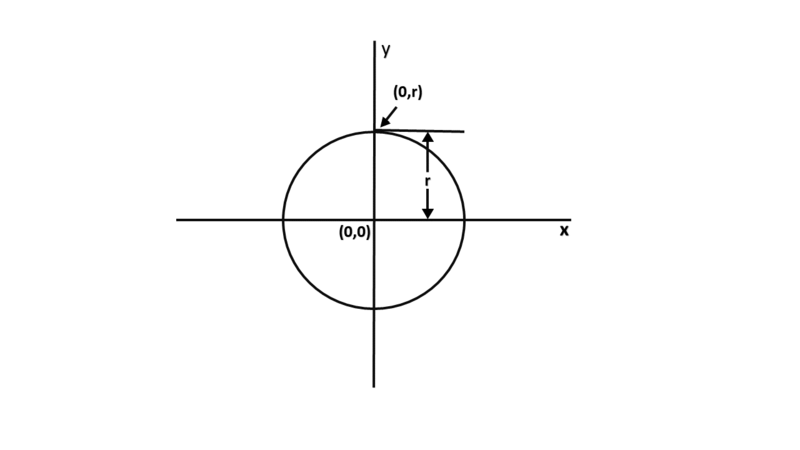 If it is assumed that the circle is centered at the origin, then at the first step x = 0 & y = r.
Thereafter, if d_i<0,then only x is incremented. Step7: Plot eight points by using concepts of eight-way symmetry. 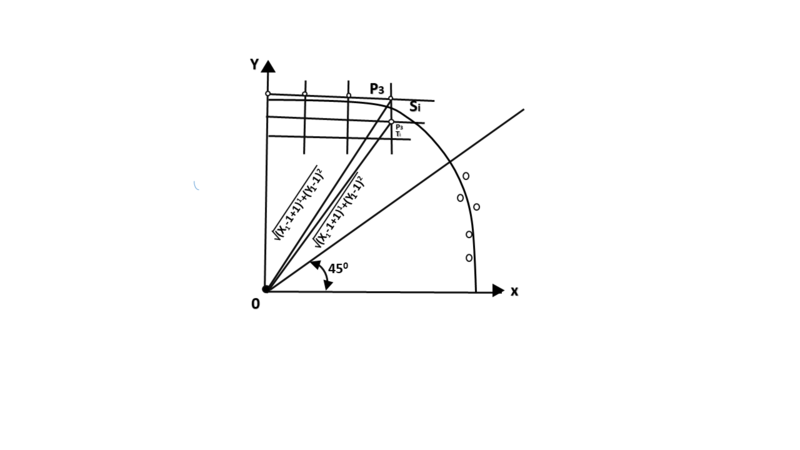 The center is at (p, q). Current active pixel is (x, y). 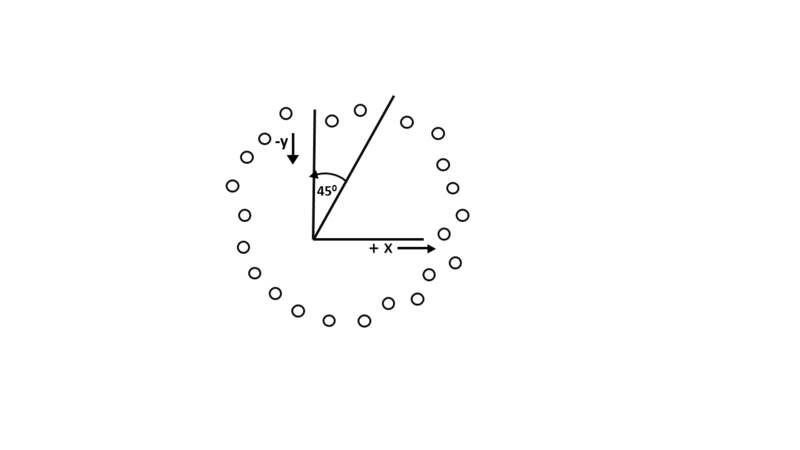 Example: Plot 6 points of circle using Bresenham Algorithm. 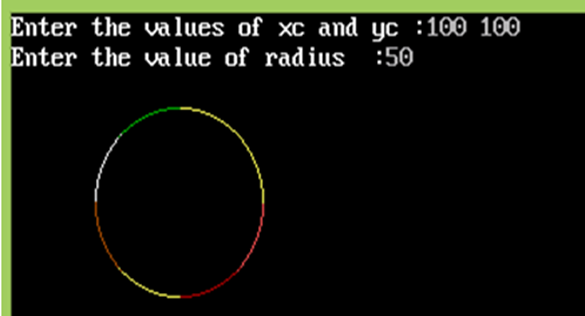 When radius of circle is 10 units. The circle has centre (50, 50).